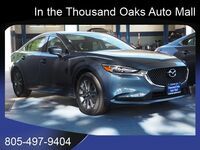 The newest Mazda6 has been making headlines since last winter and it is still among the most exciting new cars on the road. Its new, turbocharged engine option is its biggest selling point, but it has also undergone a makeover. For now, though, we are here to compare it to the competition. The 2018 Kia Optima is a strong challenge for the Mazda6. Both cars are similarly priced and designed and they both have respectable engine specs. Check out how these models compare below. 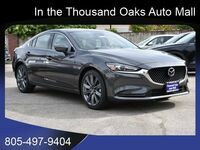 Despite its slightly lower starting price, the 2018 Mazda6 comes with more impressive engine performance and additional technologies that aren’t found on the base model of the 2018 Optima. 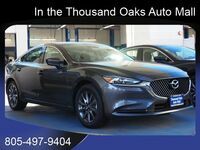 Something else that separates the Mazda6 from the Optima and other similar cars is MAZDA CONNECT™. This innovative system is only found on Mazda vehicles and it allows drivers to connect to and access things like navigation, music, messaging and more. The special MAZDA CONNECT™ monitor and control dial lets you immerse yourself in the whole experience and gain access to a whole different world. 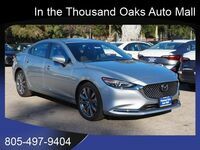 The 2018 Mazda6 also comes in the all-new Signature trim level. This top-of-the-line model includes a gunmetal-finished front grille, leather-wrapped heated steering wheel, Sen Wood door and dashboard trim inserts, front and rear parking sensors, and a 360-degree view monitor. 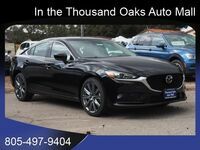 This powerful sedan can be yours if you come down to Neftin Westlake Mazda. Our friendly sales team will go over all of your questions and get you set up with a test drive. Come by soon or give us a call!